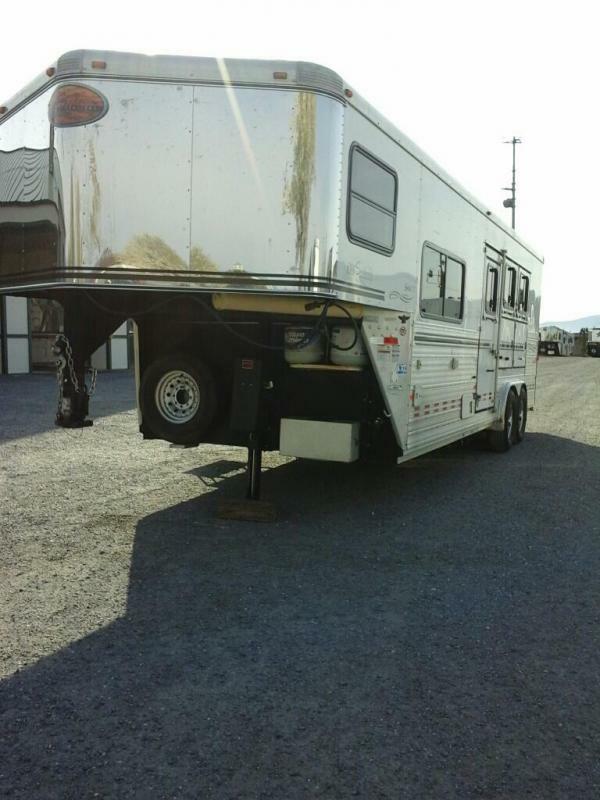 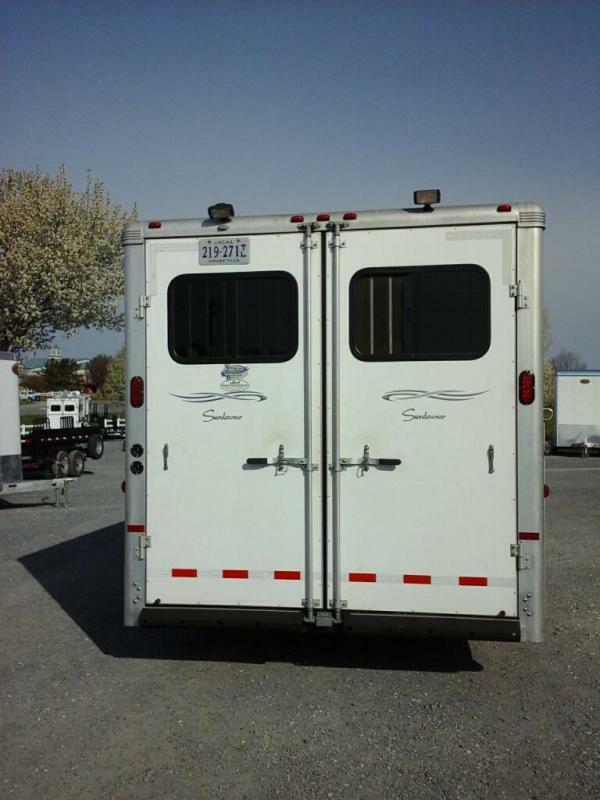 USED 2006 Sundowner Sunlite 3H SL LQ GN has (2) 7,000 lb axles w/ Electric Brakes, 235/85R16 Tires Plus a Spare, Rear Exterior Load Lights, Hydraulic Jack, 2 Propane Cylinders, 52 Gallon Fresh Water Supply, 13,500 BTU Air Conditioner, 20,000 BTU Furnace. 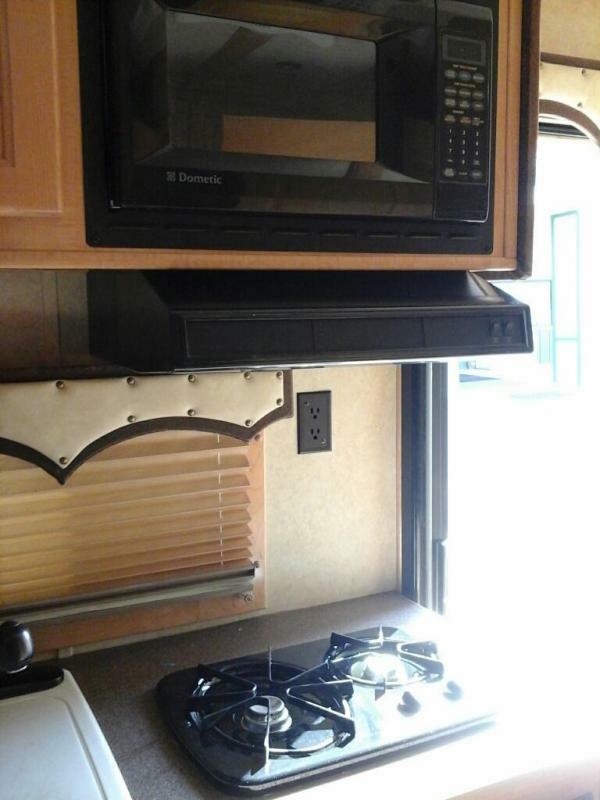 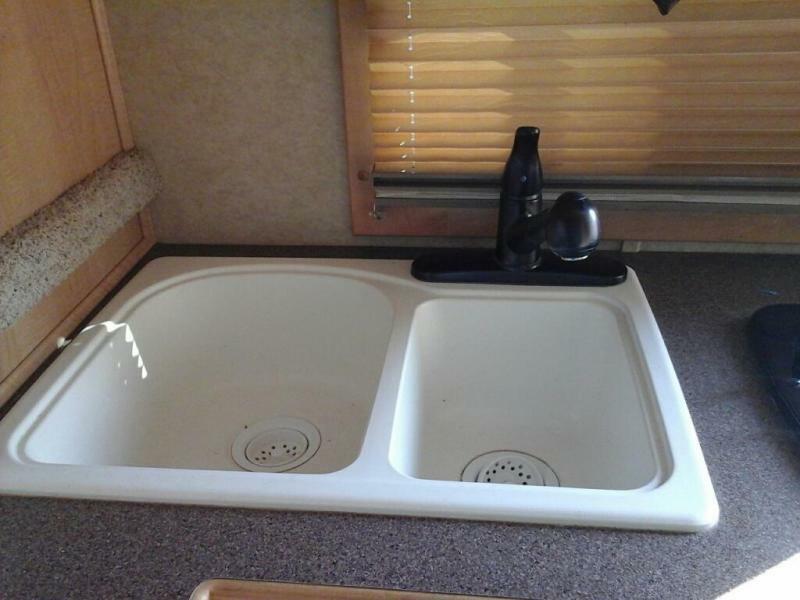 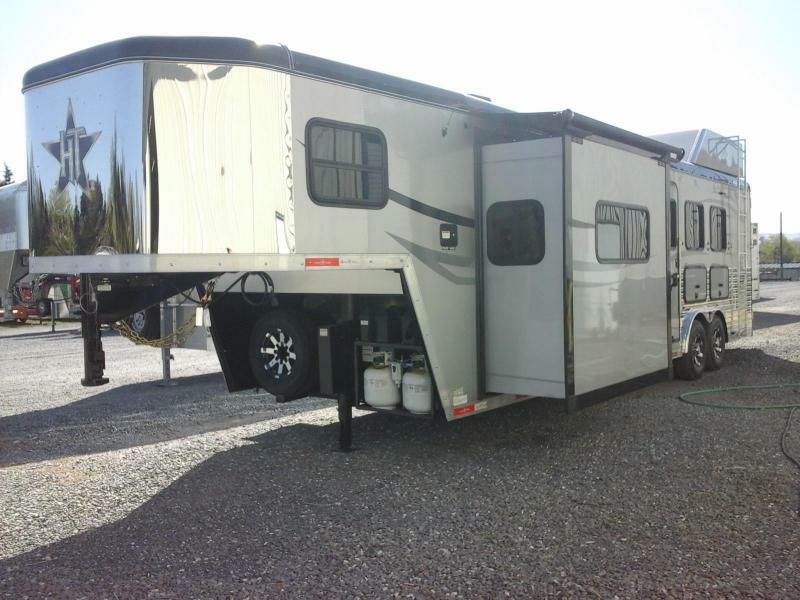 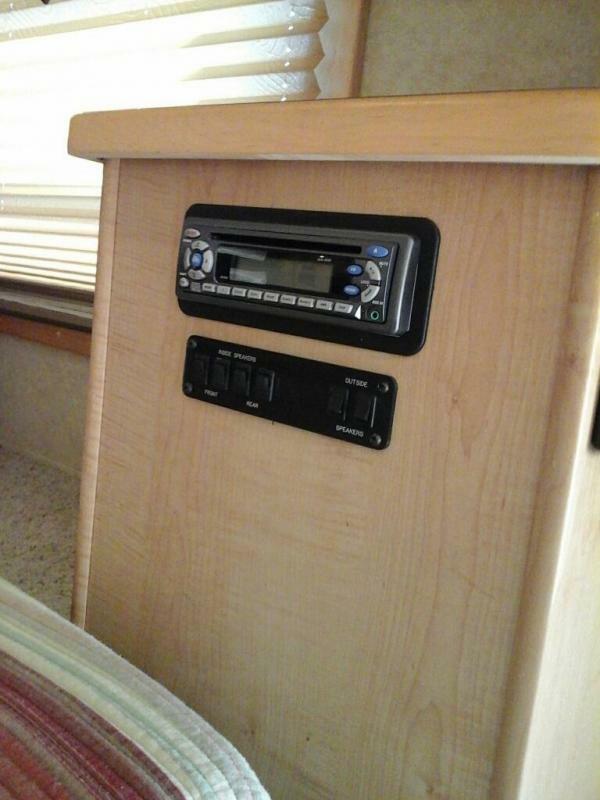 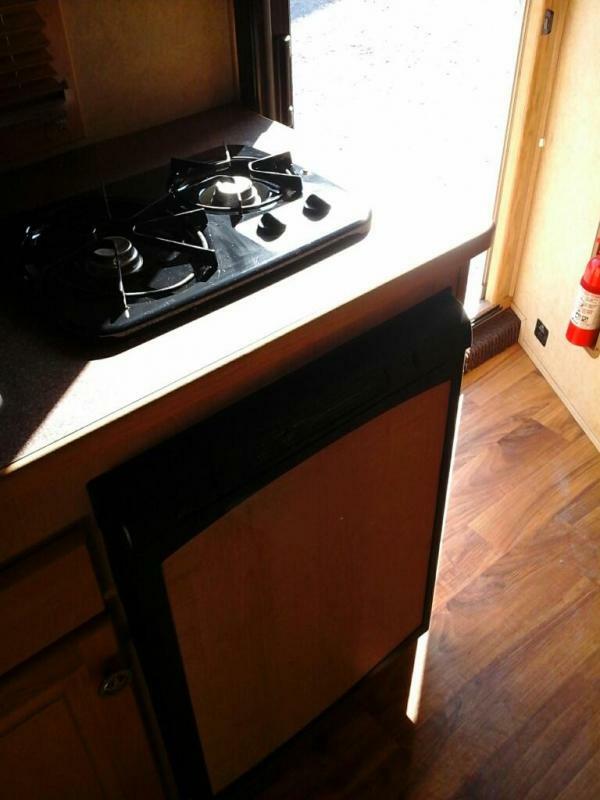 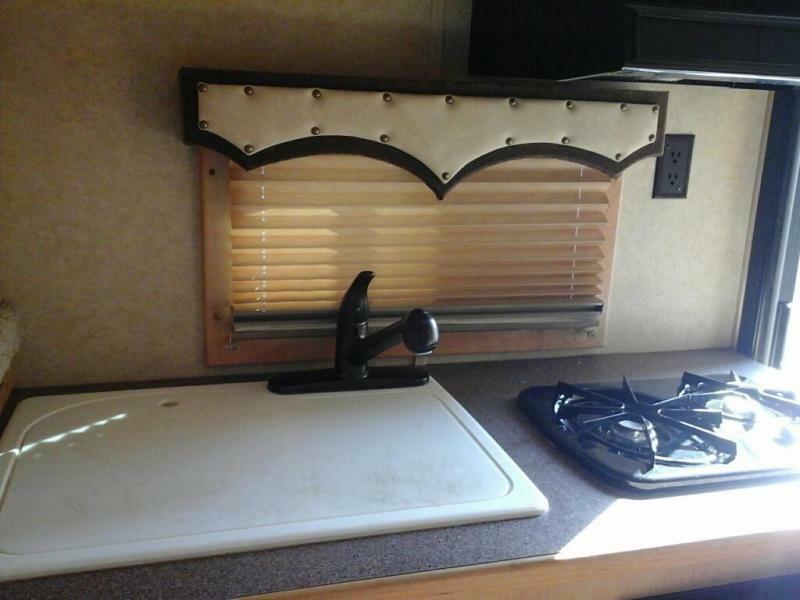 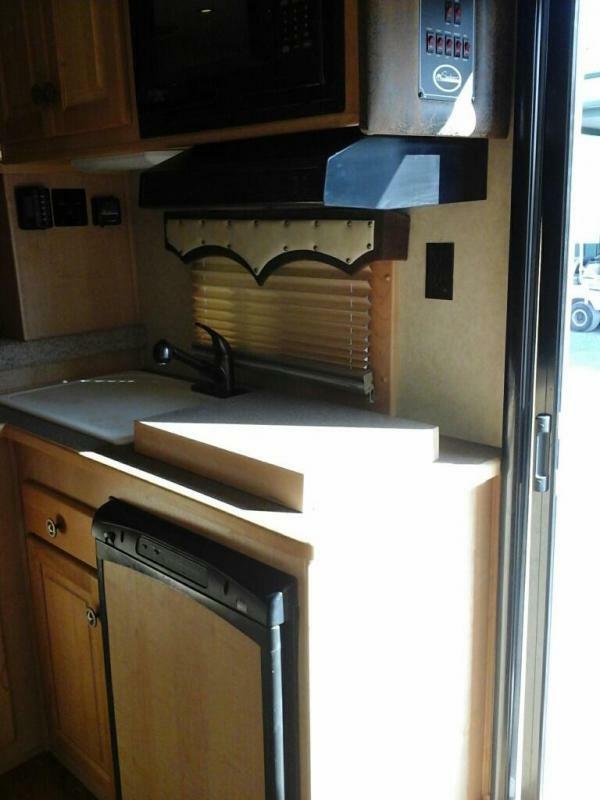 The Well Maintained Living Quarters offers a Sofa, Collapsible Table, Double Sink w/ Cutting Board Cover, 2 Burner Cook Top w/ Range Hood, Microwave, Mini Fridge, Overhead Cabinets, AM/FM Radio, Stereo, CD Player w/ 4 Interior Speakers and 2 Exterior Waterproof Speakers. 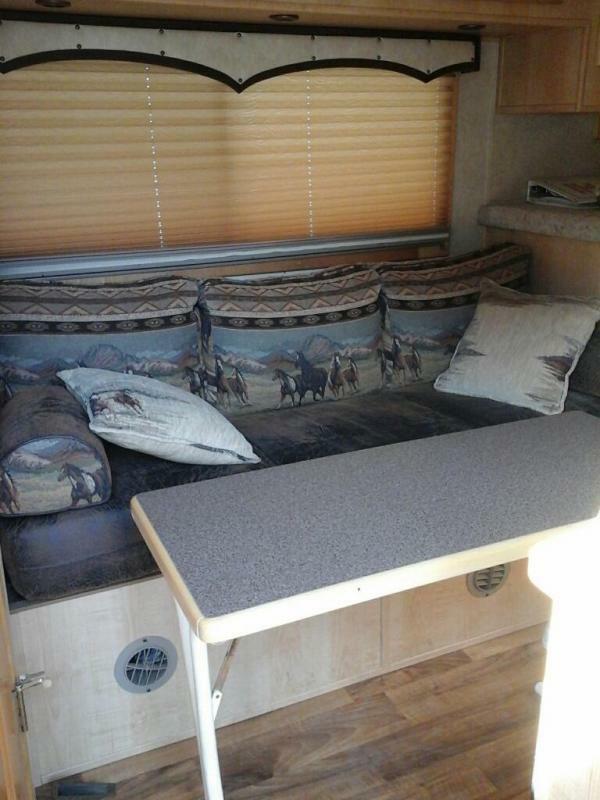 Bed Area offers Ample Lighting and Storage including a Hat Rack, Mattress w/ Bedding. 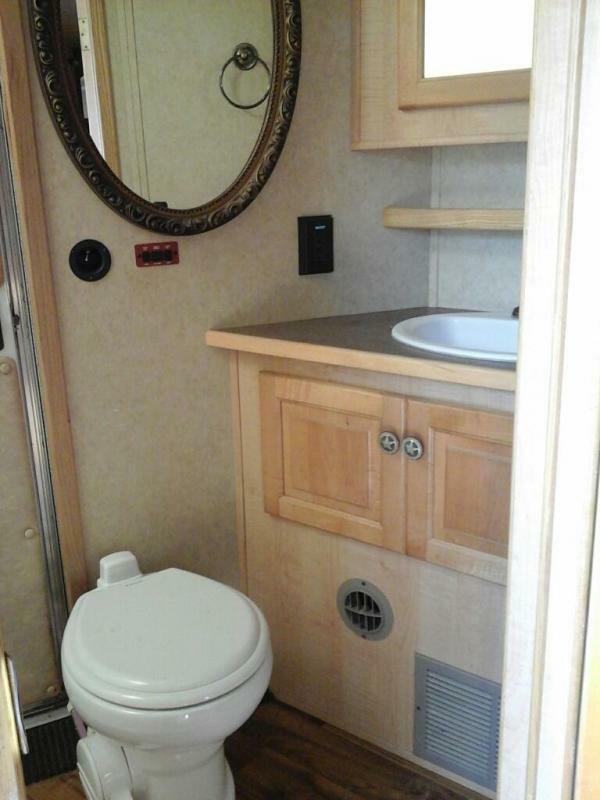 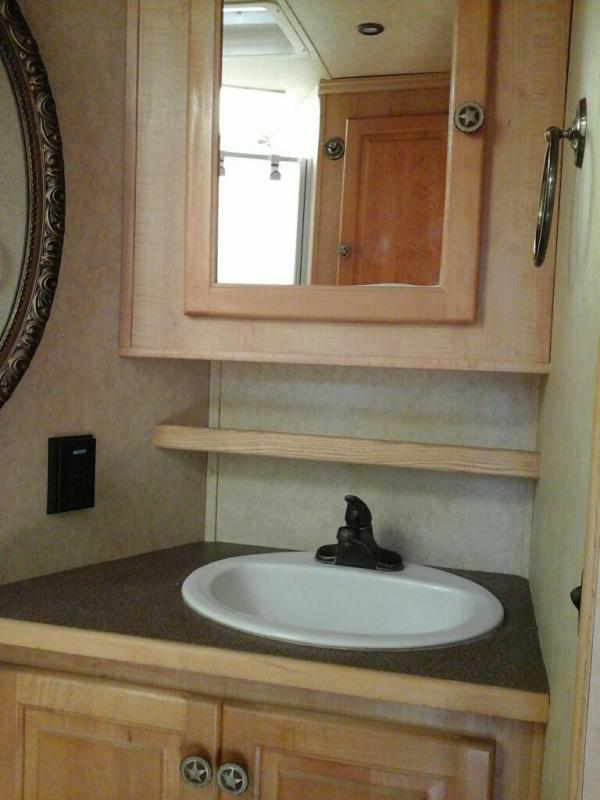 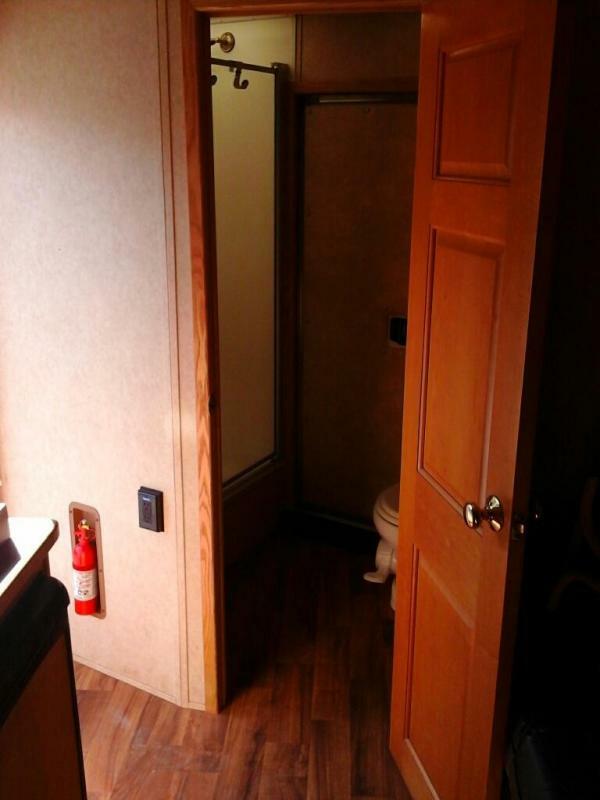 Bathroom Features a Stand Up Corner Shower w/ Skylight, Sink, Medicine Cabinet w/ Mirror, Toilet and Cabinet Space. 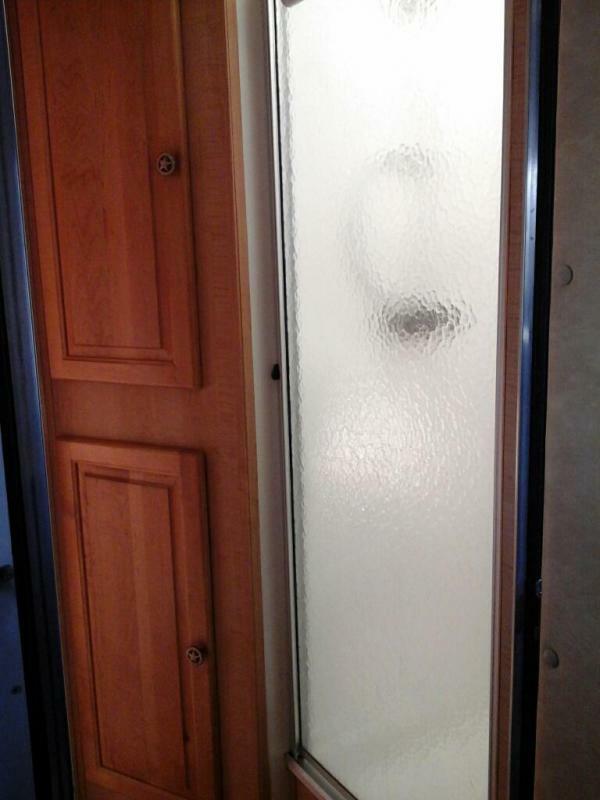 The Living Quarters Entrance Features a Hidden Screen Door, Lighted Handle, and Roll Out Awning. 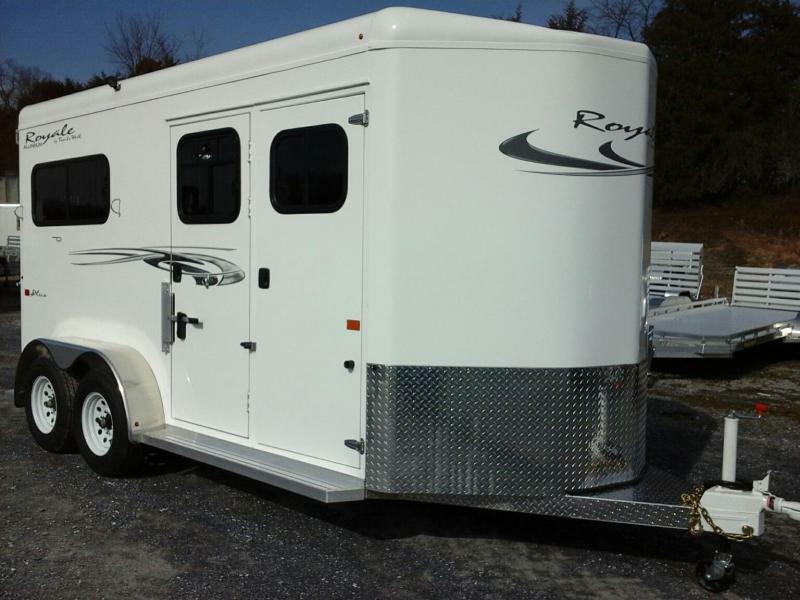 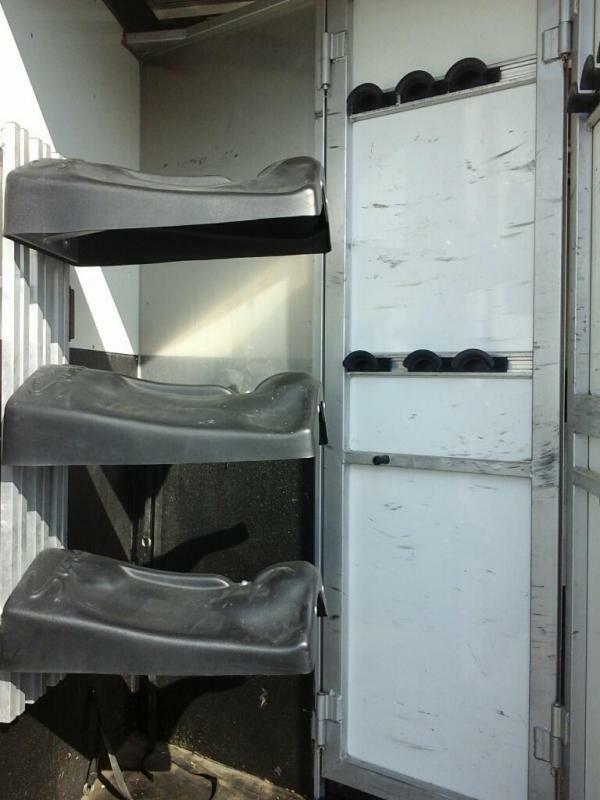 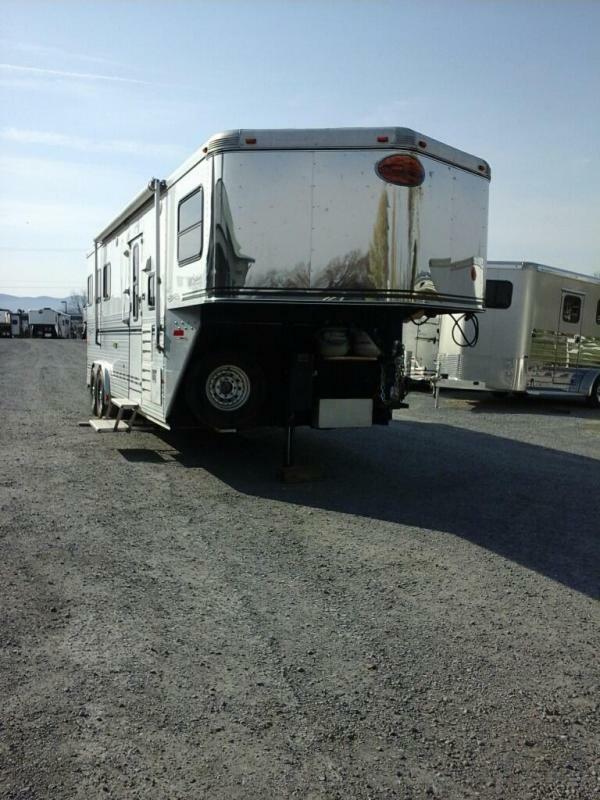 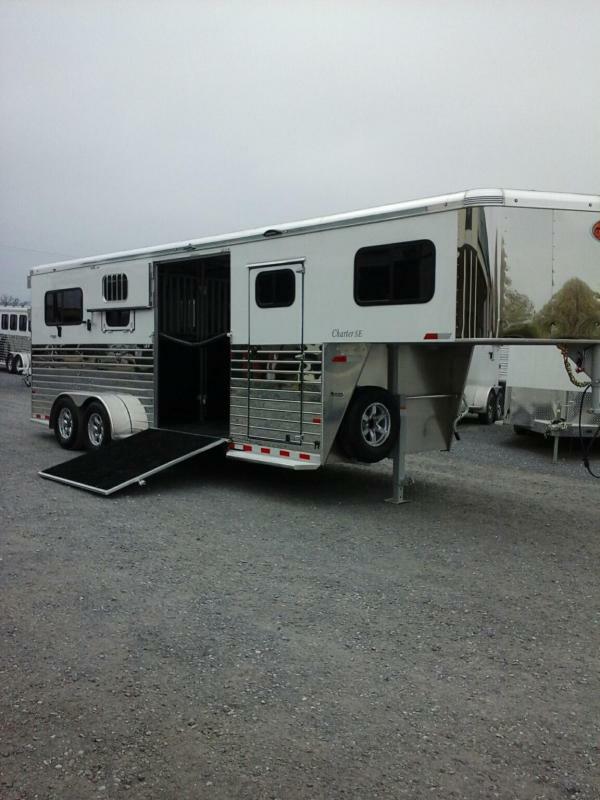 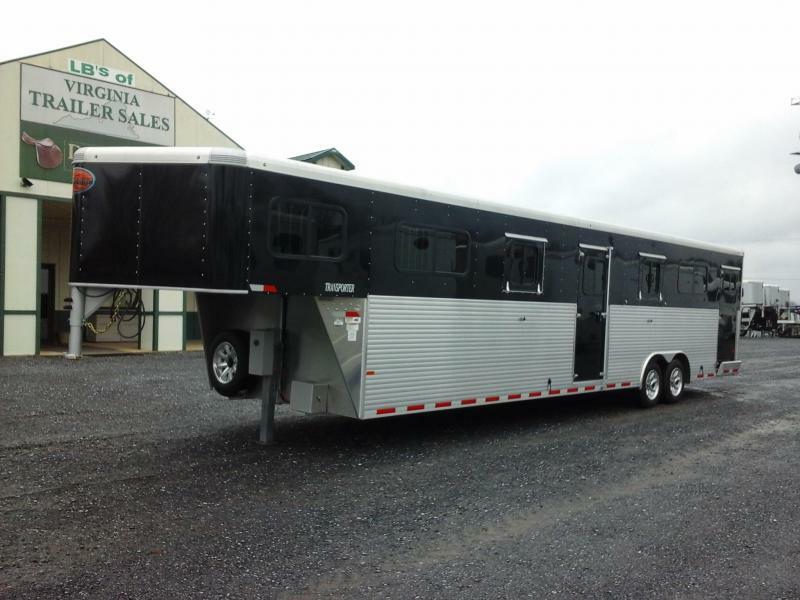 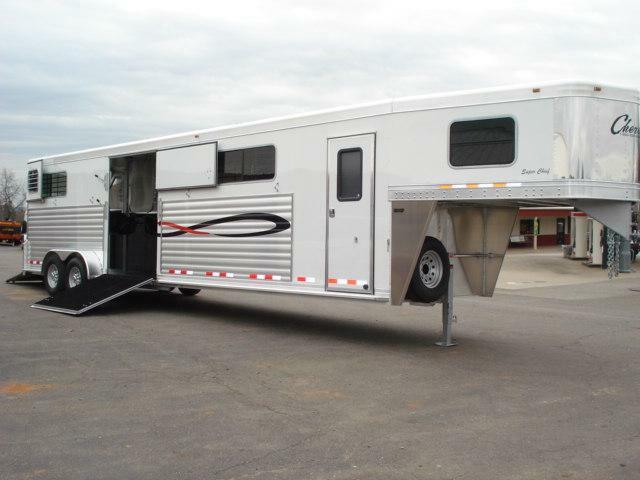 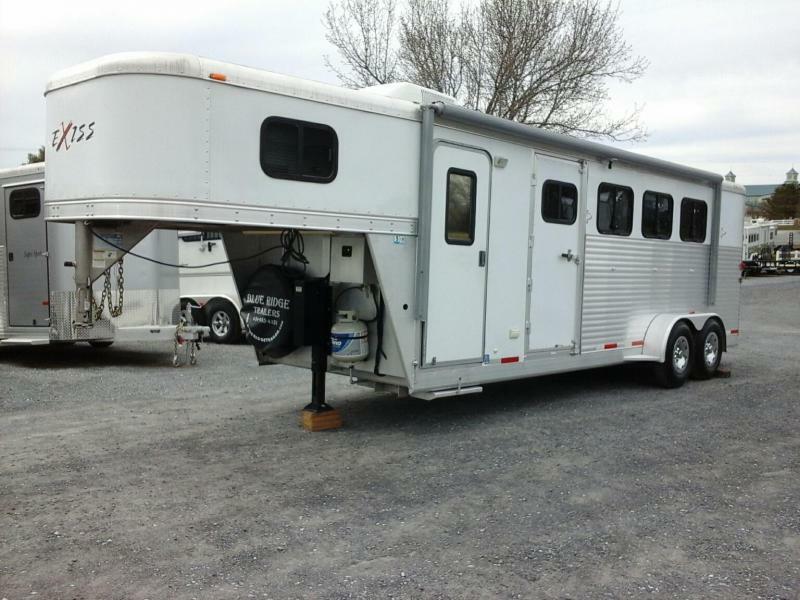 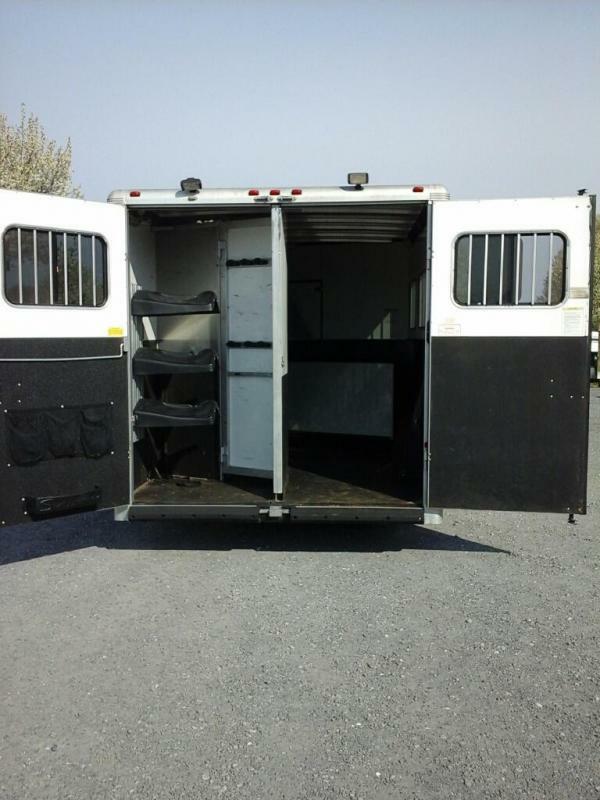 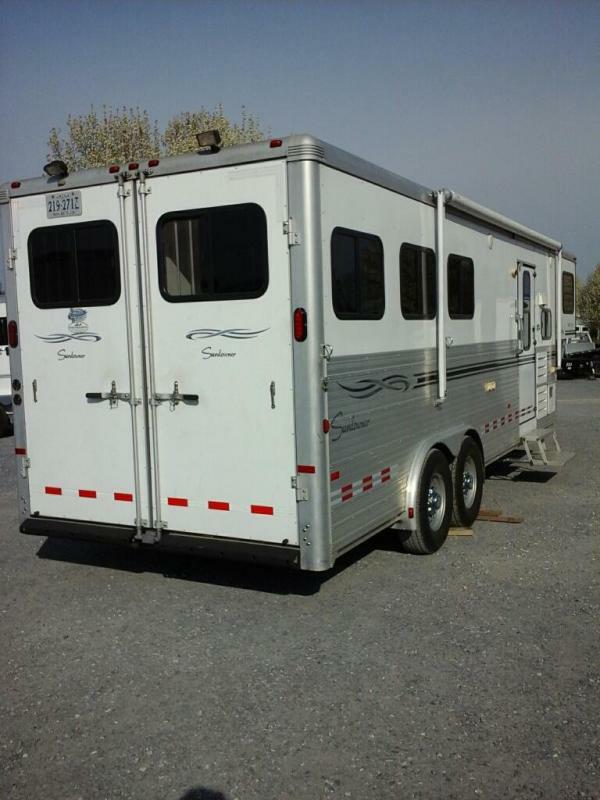 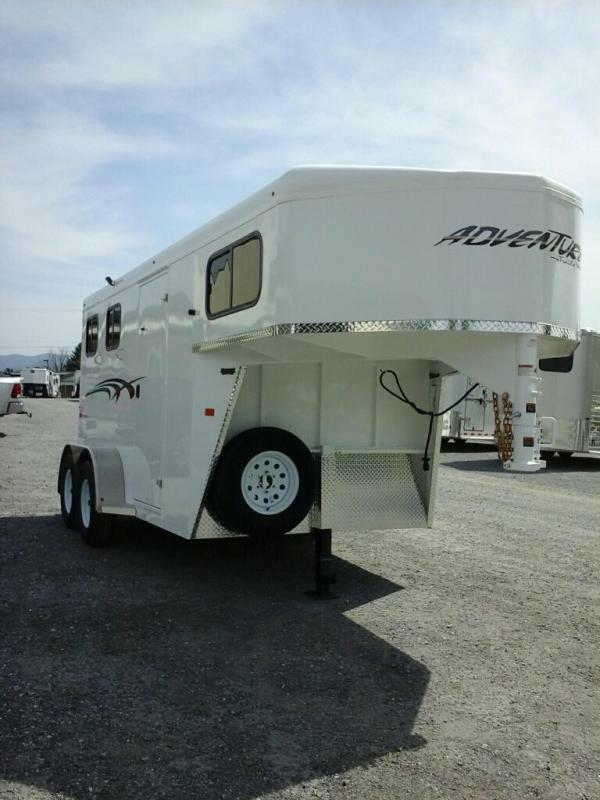 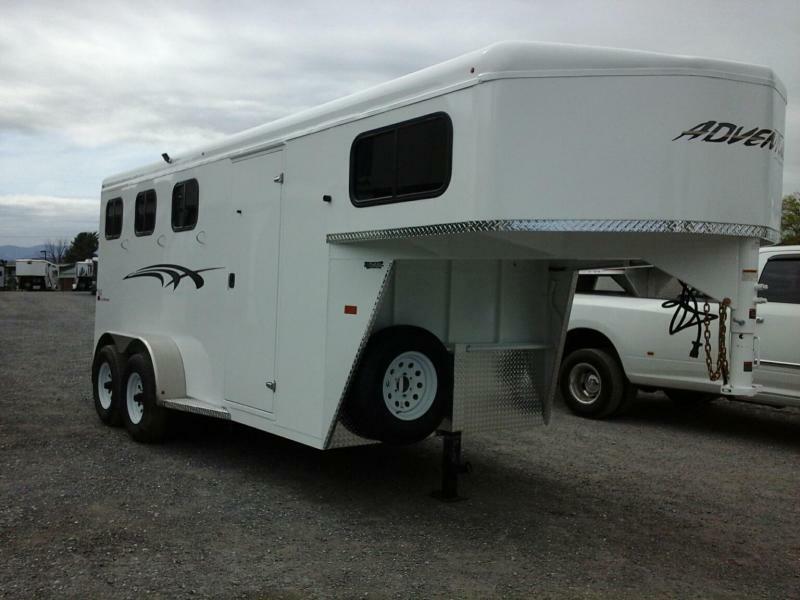 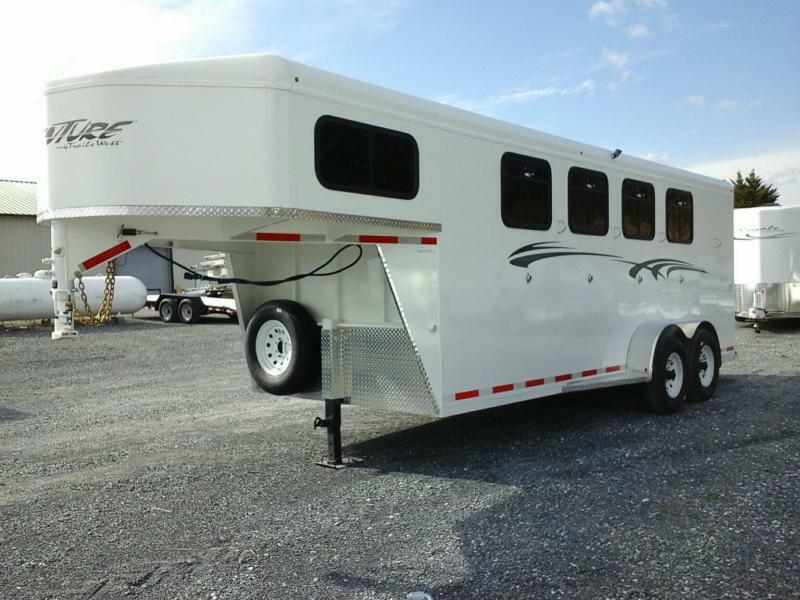 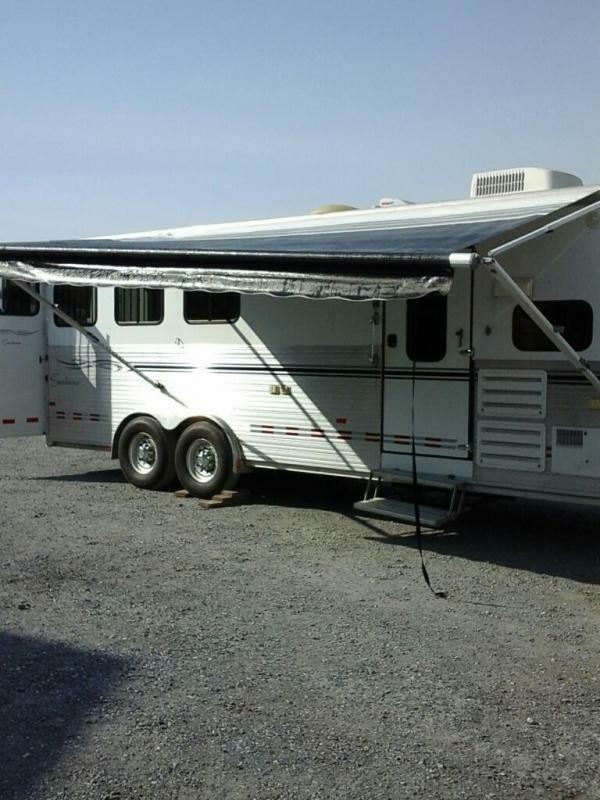 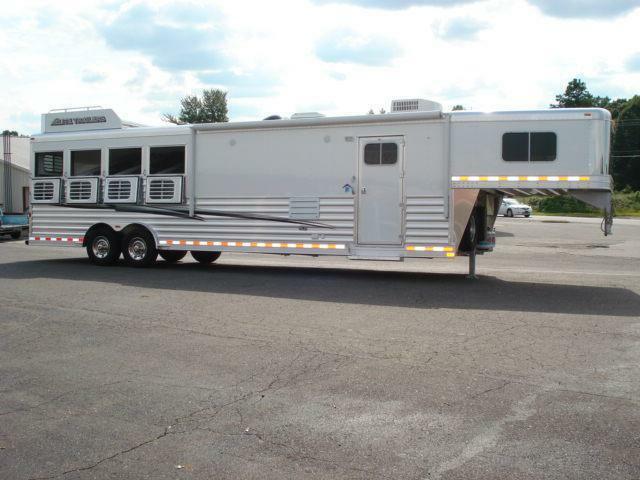 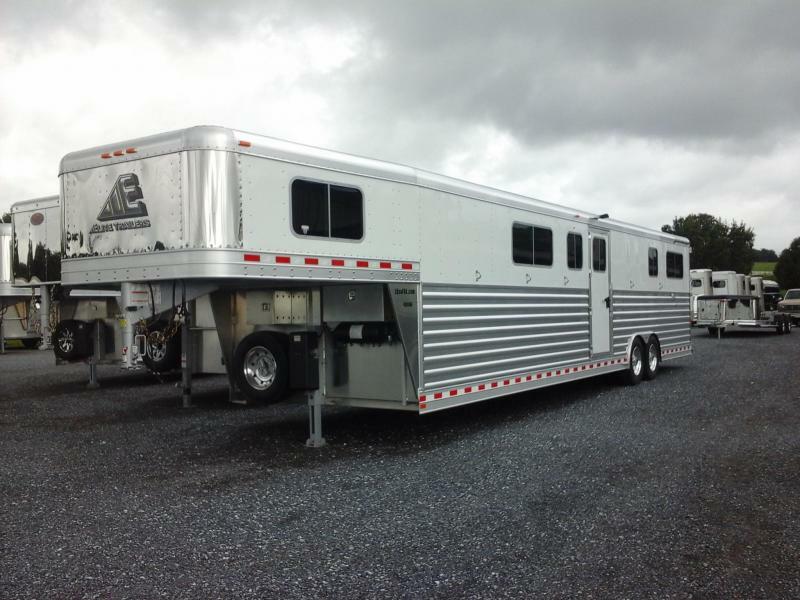 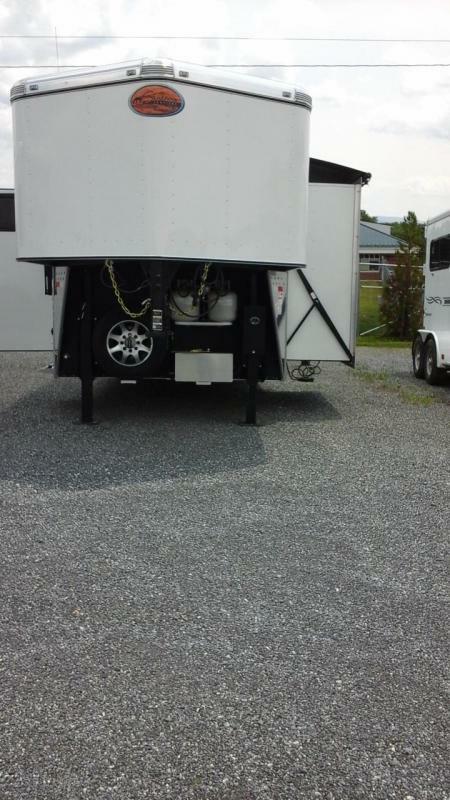 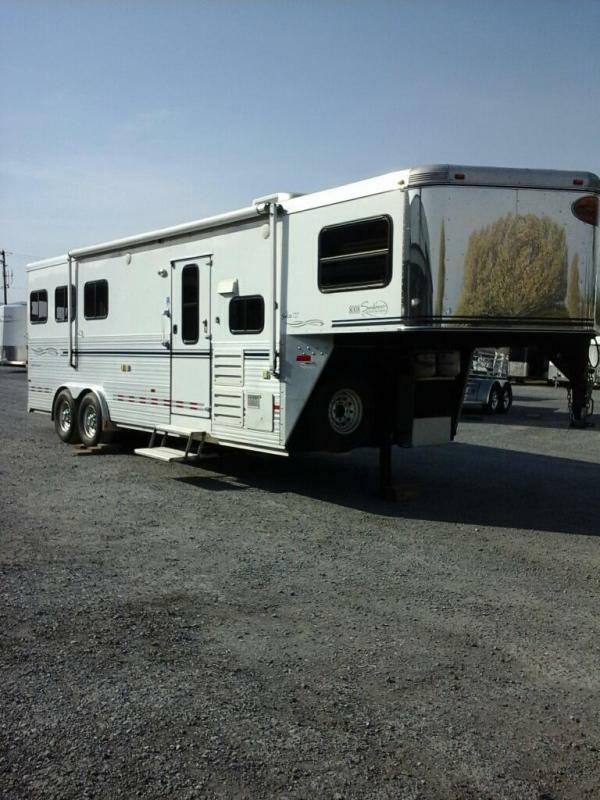 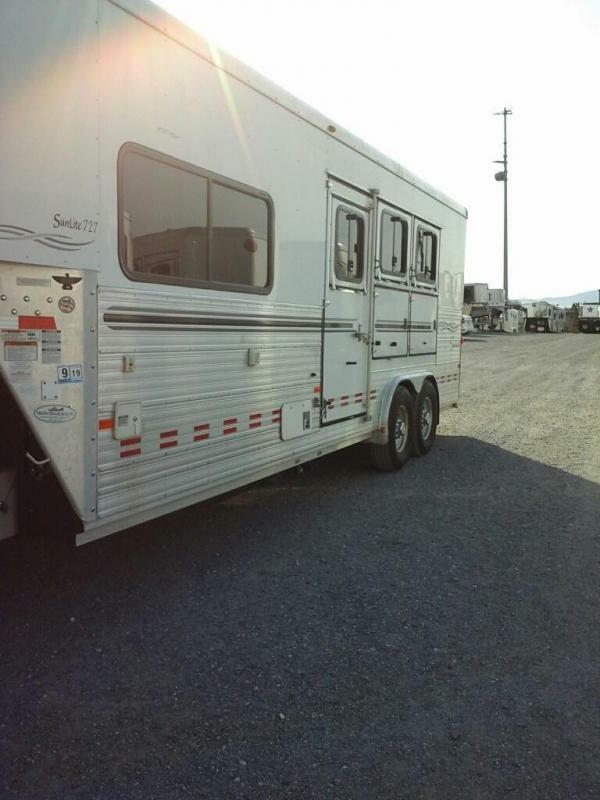 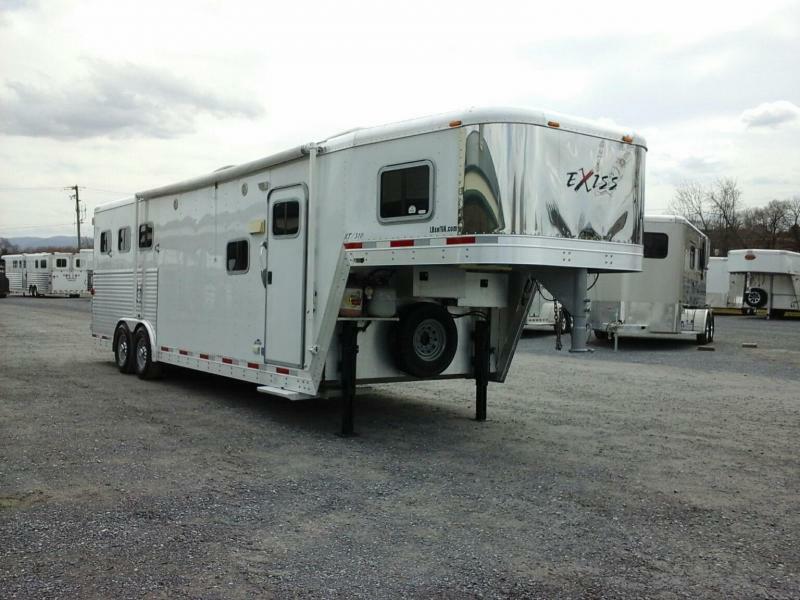 Step Up Horse Compartment Features Drop Down Windows w/ Drop Down Bars Head Side on All Stalls, including Escape Door, Sliding Windows w/ Stationary Bars and Screens Tail side, Front Stall w/ Escape Door Has Corner Feed Bag, Back Two Stalls Have Mangers w/ Storage. 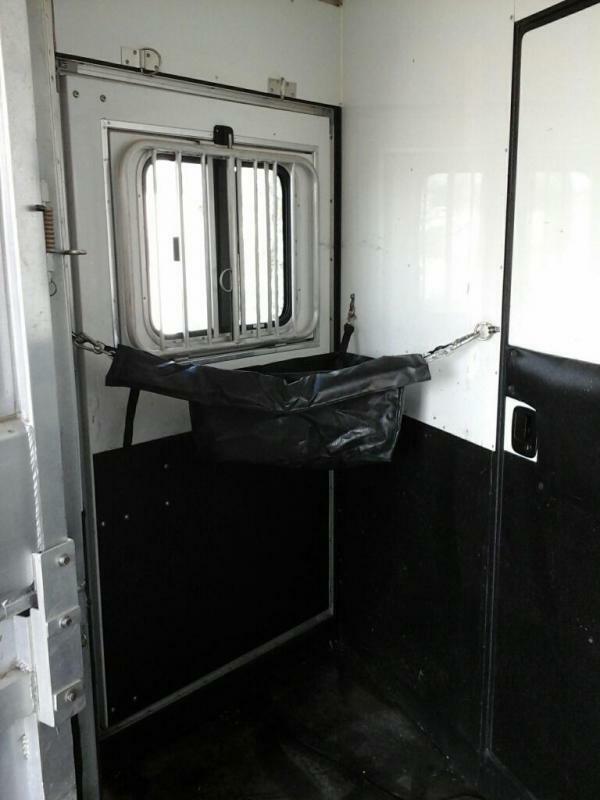 Each Stall Has 2 Tie Rings and Padded Dividers. 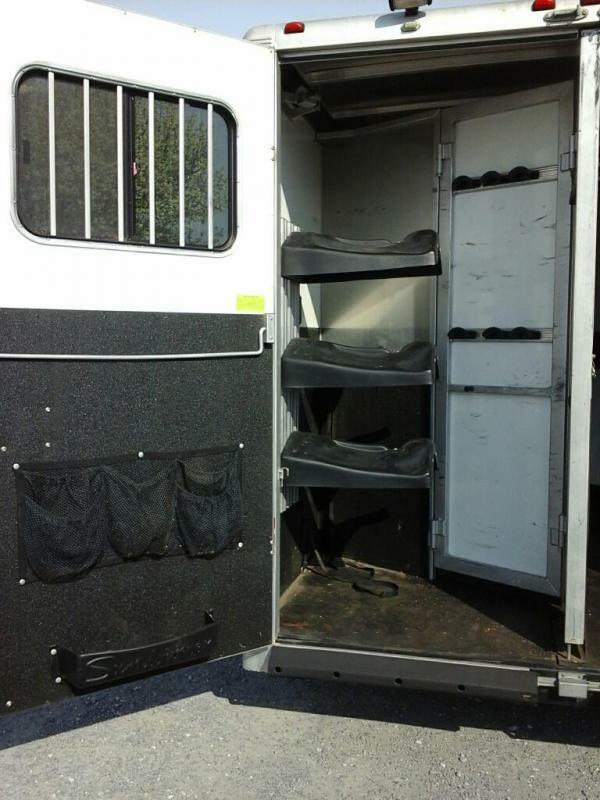 Rear Collapsible Tack offers a Removable 3 Saddle Rack, 9 Bridle Hooks, Blanket Bar, Brush Box and 3 Pocket Mesh Door Organizer. 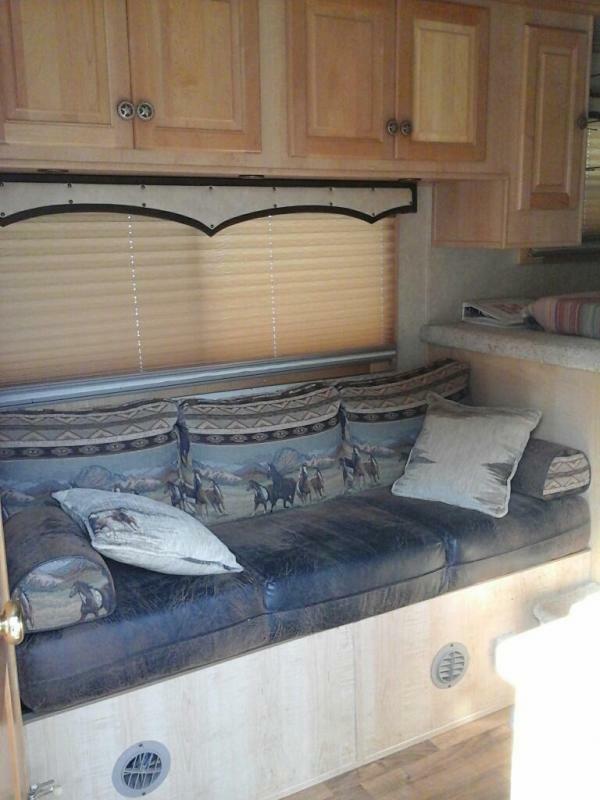 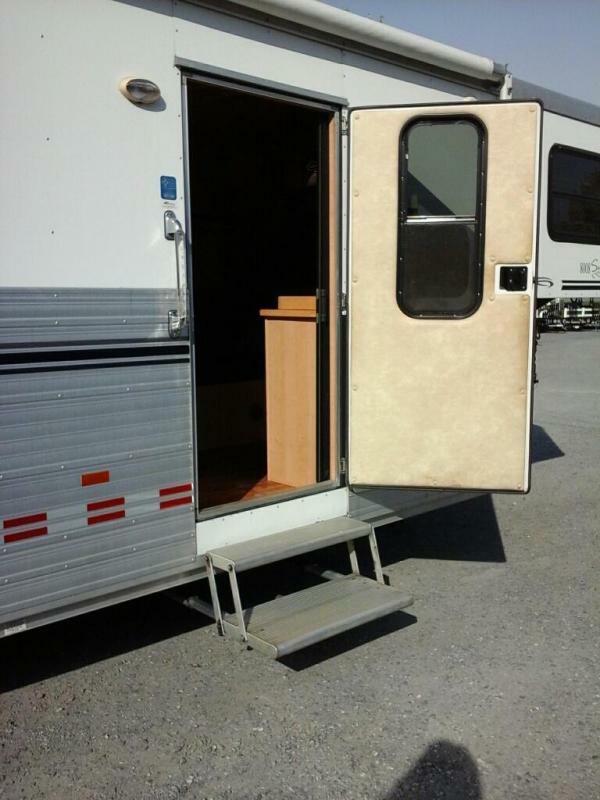 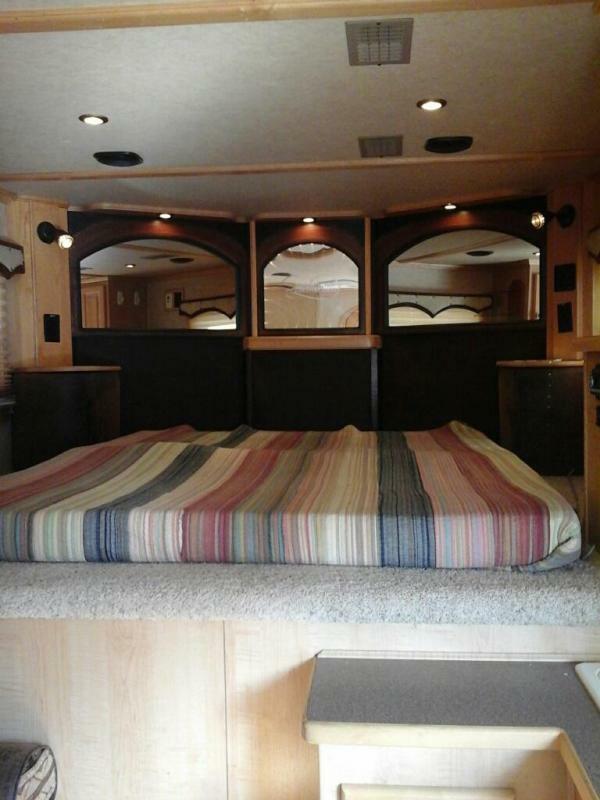 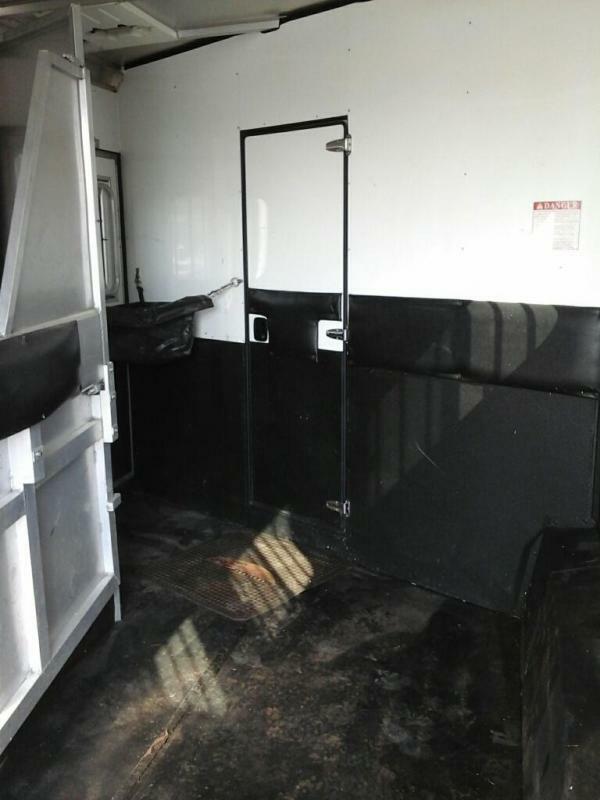 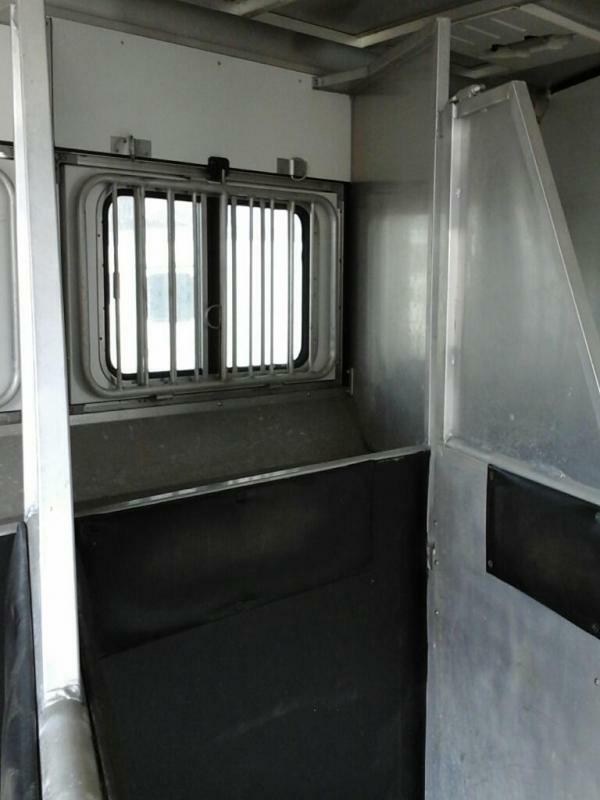 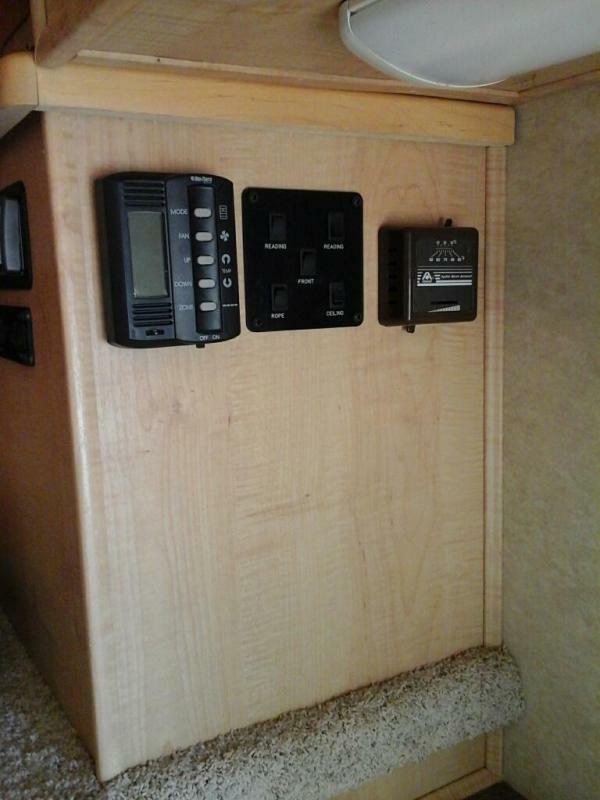 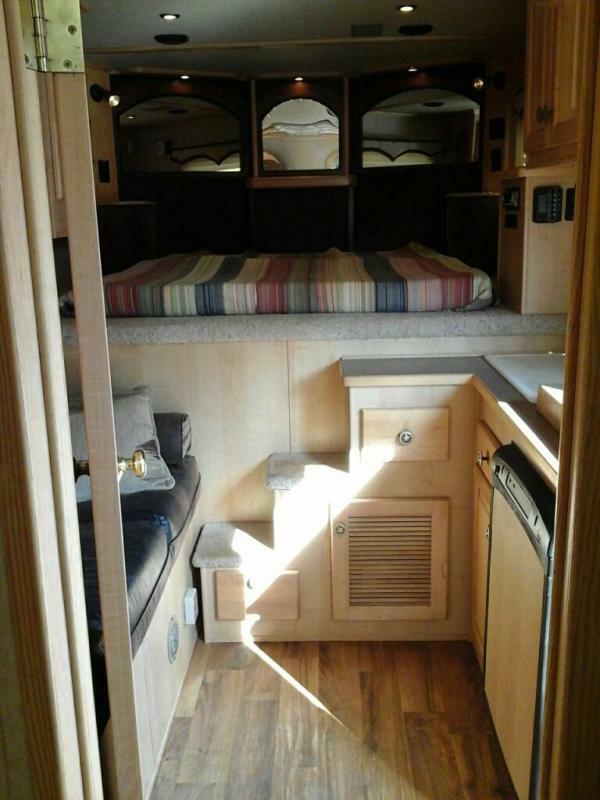 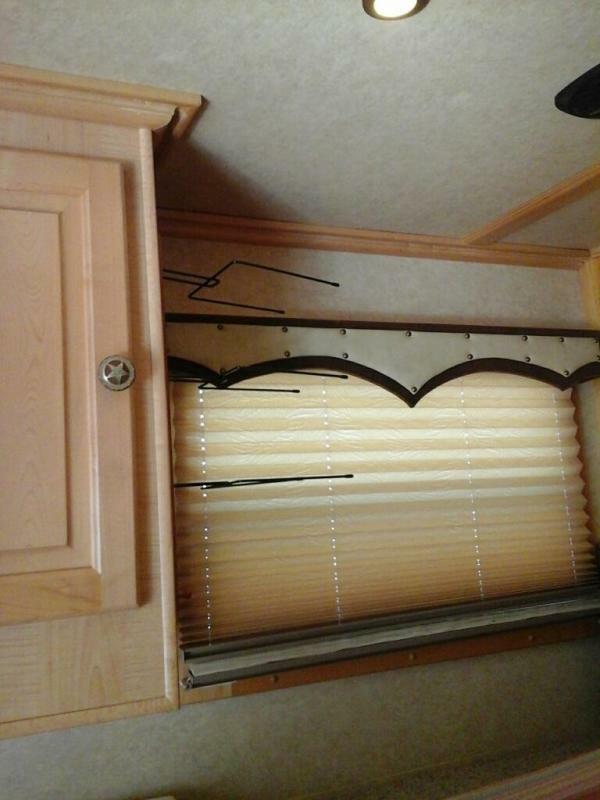 Lined Walls and Rubber Floor Mats Throughout Horse Compartment, and Sliding Windows on Both Rear Doors.